In an effort to help improve water quality and shoreline vegetation, MRWA approached the Brooks Lake and Hess Lakes Boards about a project to help protect the lakes. Working through the Newaygo County Drain Commissioner, Brooks Lake and Hess Lake Boards published a 2009 winter newsletter proposing a shoreline restoration project. A postcard survey was also distributed to lake residents and the interest in the program was significant. Working with the Muskegon Conservation District, an educational meeting was held in July for the interested residents. Residents learned about native plant buffers and how water quality can be improved with the installation of one. The Conservation District ordered plants and assisted participants in designs for their shoreline buffers. Participants chose either fall 2009 or spring 2010 to plant their buffers. 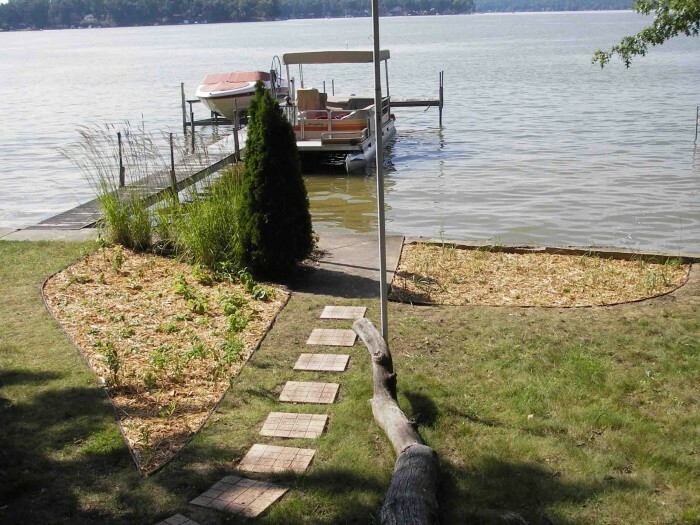 In 2011, a shoreline project was completed with Fremont Lake riparians. This projects were funded with MRWA discretionary funds from the Fremont Area Community Foundation and Wege Foundation.